is a company that understands the demands of luxury. We scour the world to find you the latest manufacturer model of the latest Rolls Royce and deliver it straight to your doorsteps in a matter of days. We go above and beyond to provide you with dependable and transparent services every single time. Our export managers are among the most experienced in the field. They’ve established god connections with some of the biggest prestige car manufacturers in the world to provide you with an expansive collection and prompt delivery. Rolls-royce-export.co.uk is a company that’s just as passionate about luxury as you are. We pull up at all the stops to provide you with the most convenient export solutions possible. When you work with us, you’re guaranteed to receive superior assistance on demand, from delivery to inquiry response and everything in between. We’ve spent years finding the most dependable prestige car manufacturers in the world to deliver you only the best. Being just as passionate about cars as you are, we make sure to find only the best manufacturers to deliver you some of the rarest Rolls Royce in the world. Our freight forwarders are among the most dependable in the world. We make sure your cargo is safely handled and delivered without compromising safety and efficiency. On top of it all, we constantly review our partnerships with some of the largest freight forwarders in the world to provide you with the most competitive costs possible. Rolls-royce-export.co.uk is the only export management in the world that focuses on a single car make. Nobody knows Rolls Royce better than we do. When you work with us, you have access to our in-depth expertise in choosing the best car for your needs. Our export managers are more than just leaders in export solutions, they’re your partners in finding the right car according to your special needs. 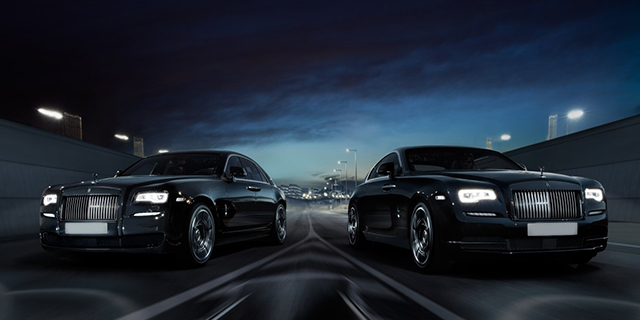 Whether you’re looking into purchasing your first ever Rolls Royce or finding the rarest model to add to your collection, our export managers can help move things along for you as if by command. We are not afraid to go above the call of duty to deliver you the car of your dreams, the way you want it. Learn about our all inclusive services by speaking with one of our highly skilled export managers today. Over the years, Rolls Royce Cars has amassed some of the most expansive catalogs of Rolls Royce in the world. This gives you, our valued customer, access to some of the most sought after models around the world. We’ve connected with some of the best prestige car manufacturers around the globe to make sure you get the latest manufacturer model according to the specifications that you want. Once you decide to work with us, our export managers will be hard at work to find the car that you want - wherever it may be. Here at Rolls Royce Export, we also pride ourselves in providing you with all-inclusive services that takes out the leg work in exporting a car. From filing the necessary applications to ensuring your car is safely delivered upon release, our export managers will be working closely with you to provide you with transparent services. We also provide all our customers with on-demand reporting via phone and email. You’re assured that our export managers will provide you with pertinent updates regarding the status of your order from Day 1. Our export managers are also trained to handle all of the necessary paperwork to move the process along as quickly and as efficiently as possible and deliver your car at your doorstep.